1. This challenge will be between Chris Wainscott of the blog On the Road to Chess Mastery , later called Chris in these rules and Johan Verduyckt of the blog Can a chesspatzer reach 2000 chess rating ,later called Johan in these rules. Jacob Aagaard and Andrew Greet of Quality Chess books are appointed supervisor. 2. The duration of this challenge is from 11th february 2017 until 11th february 2018. 3. Chris will only use Quality Chess books with the exception if no book of chosen publisher excist on the topic he wants to read/study about but not of chosen publisher of opponent. 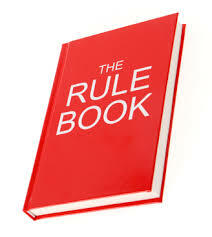 Johan will only use New in Chess books with the exception of puzzle books, however not of chosen publisher of opponent. 3. The use of a chess engine is allowed as well as one chess server. Johan will use Chess.com, Chris will use ... , All other electronics (mp4s, websites like Chesstempo, ...) are forbidden. 4. The help of another human being is not allowed with the exception of an after game analysis with your opponent of that game. 5. Both Chris and Johan will write atleast two blogposts a week on their blog about this challenge. They also will send a monthly report to Jacob Aagaard/Andrew Greet. 6. The winner will be the person with the bigest rating gain at the end of the challenge. Chris has now 1804 USCF rating, Johan has now 1841 Belgian National Rating. (This rule will be adjusted if needed to keep it fair since there may be some unexpected complications of a straight up ratings comparison between the USA and Belgium). 7. At the end of the challenge there will be a four to six game match between Johan and Chris with timecontrol 15 + 10. Interesting challenge. Good luck. Not for me though, I cannot give up my classics by defunct publishers, nor Chess Informant.